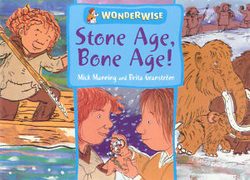 We read lots of books about fossils and the times from where fossils are from. Some we buy, and some we get from the library. So that I don't forget them, we'll post them here. I love this book! 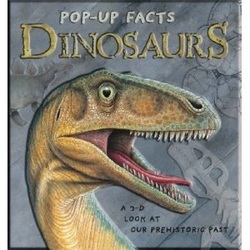 It is a little bit fragile, because it's a pop-up book, so there are lots of bits of card to pull to make dinosaurs move, and flaps to open. I got this book for Christmas, and now it's April, and I still look at it lots and lots. There is a lot of information, so I find out something new each time. The big brachiosaurus got a little bit broken because I took it into school to show it to everybody when we learnt lots about dinosaurs. That made me a little bit sad, but I still read it lots. This is my new favourite book, I got it for my birthday. It shows how a dinosaur becomes a fossil, and then gets found and put back together again. The whole time, the fossil says things, and it's really funny. It tells you all the things a palaeontologist has to do, which is good, so I know everything I have to know about how to become a palaeontologist. This is a nice book, but the information is all in tiny bits, with arrows and things, so it's a bit more about looking at pictures and discovering what is happening. Sometimes, the book is trying to be funny ("For some reason, this man is digging a hole"), and you have to make up your own story if you want to have a reason. This book says it's for children who are 8-12 years old, but I really like it. It has lots of information, and we read a little bit at a time, but I really like it because it has lots of activities. You can cook like a stone age person, make a pot like a stone age person, or an axe. We made the mammoth hunter hut, you can see it here: http://www.fossilfriends.co.uk/1/post/2012/09/a-mammoth-hunters-hut.html - and after that, we made a mammoth, too: http://www.fossilfriends.co.uk/1/post/2012/12/the-last-piece-of-our-mammoth.html (there are two other posts about the mammoth on the blog) - but the mammoth was not in the book, that was our own idea. 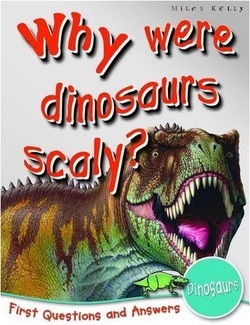 This book tells lots of things that people used to think about dinosaurs, and that are wrong, like that they found a horn with an iguanadon, and they thought it went on the nose, but then they found another skeleton with two horns, and they're not horns, they are claws for the thumb. 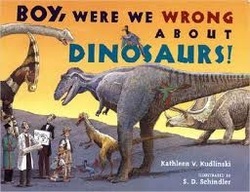 At the end, it says "Maybe you'll be a palaeontologist one day, saying "Boy, were we wrong about dinosaurs!"" - that is my favourite bit, because I'm going to be a fossil expert. 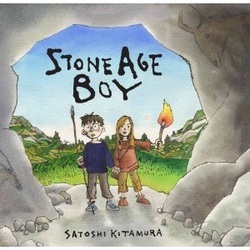 A boy trips in the forest and wakes up in the Stone Age. He meets a girl and learns how she and her family live. When a bear attacks, he wakes up in his own time, and everybody says it was only a dream, but it wasn't. When the boy grows up, he becomes an archaeologist. This is a story about Mary Anning. It is a cartoon story, with pictures and speech bubbles. I loved the drawing of the ichthyosaur Mary found. At the end of the book is a bit more information about Mary. 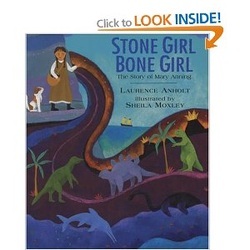 This is another book about Mary Anning - it has more words in it, I think it is a bit better for older children. 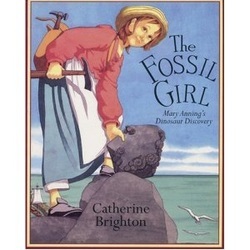 It tells a lot more about Mary Anning, not just about how she found the ichthyosaur. This is my favourite book. We got this book from the library. Mummy thinks it is for much older children, like nearly teenagers, because it has lots of really complicated words in complicated sentences ("Cynognathus was a therapsid reptile called a cynodont"! ), but we're looking through it together and picking up bits and pieces - like that the cynognathus was a reptile with fur!!! and that there was an animal called a Quetzalcoatlus, which was the biggest animal ever that could fly. Its wings folded out to 15m! 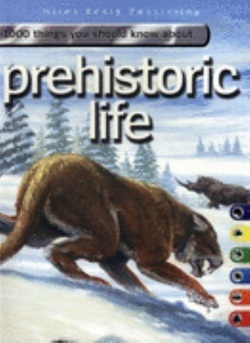 It also tells about how people evolved, and we talk a lot about what makes people different from animals. This book tells you a bit about when people used tools, and grew stuff, and made fire, and made art. This book has a bit of a story about what people did, and it also tells you information on each page. I liked the traps best, and the tickling trout. A trout is a fish. I would like to tickle a trout one day.